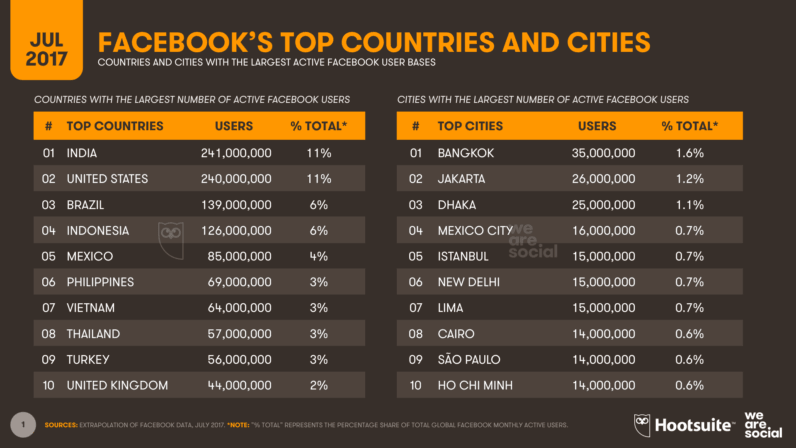 As of 13th July 2017, India has more Facebook users than anywhere else in the world. It was a development that had been cards; India is the 2nd most populous country in the world, and the most populous, China, doesn’t allow Facebook within its borders. India’s population of 1.2 billion has long exceeded the US’s population of 320 million, but its low internet penetration rates had meant that most of its citizens weren’t able to use the world’s most popular social network. India’s internet penetration, though, has increased over the last few years. As many of 36% of Indians now have access to the internet, and a large proportion of them seem to be active Facebook users. And India seems to be just hitting its stride — active users rose by 27% in the last six months, compared to just 12% for the US. 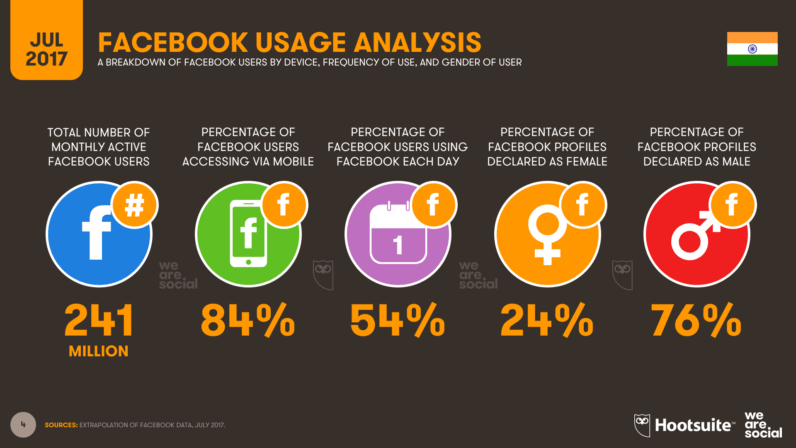 And Facebook users in India seem to be an engaged bunch. As many as 54% use the service at least once a day, and 84% access it from their mobile phones. Half of India’s users are under the age of 25, and rather inexplicably, as many as 76% are male. And Facebook has been aggressively courting its Indian audiences. Last year, Mark Zuckerberg had hosted Prime Minister Narendra Modi at the Facebook headquarters, and Modi had enveloped Zuckerberg in a trademark bear hug. Facebook has had its share of policy reversals in India — Indian’s telecom regulatory body declared its Free Basics initiative illegal in India when it had tried to offer free internet services, and Indian courts have questioned WhatsApp’s policy of sharing Facebook in India. But Facebook looks to be doubling down on its Indian userbase — it has large offices in Mumbai, Hyderabad and Gurgaon, and now launches features geared towards India such as Facebook Lite.